The Giller Prize shortlist was announced today. 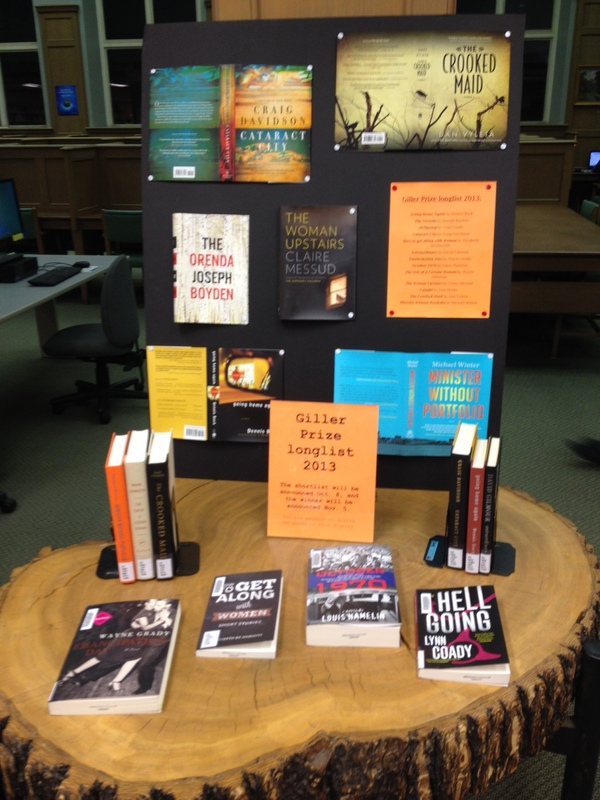 We have all 5 shortlisted books at the UC Library, PLUS the other 8 books that made the “long list.” The longlisted books have been on display at the front of the Library for the past ten days (but of course some of them have been borrowed — that’s why we do these displays!). The winner will be announced November 5.